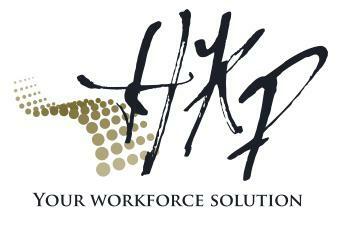 Independent staffing firms sharing strategic practices within a non-competitive environment. TempNet is the premier association of dynamic, independent staffing firms in non-competing and niche markets. TempNet is an alliance of industry leaders who share best practices, specific training, support, and camaraderie, thus empowering independent business owners to successfully compete as market leaders. "TempNet is hands down THE best decision we have ever made while being in business over 20 years. TempNet has provided us with a “home base” of knowledge, experience and expertise that we can draw on in real time while addressing issues. The support from this unique group of professionals in incomparable to anything else we have ever experienced. Our networking through TempNet has allowed us to stay out front on pending issues affecting the industry and stay one step ahead of our competitors. Through sharing ideas, we ALWAYS come back from conferences with new, fresh ideas to help motivate our staff, employees and client relations. We have made lifelong friends and truly feel as if we are one big family. We are extremely thankful for TempNet!" TempNet facilitates ongoing business support between companies who are working through challenges just like yours. Affordable training for owners and staff in subjects like recruiting, sales, efficient operations, marketing, coaching, and business development. Nationwide network of partners with instant access to referrals, niche markets, solutions, & recommendations from leaders in your industry. Save the dates and start planning your trip to this historical hotel and beautiful are in Michigan this Fall! Save the date for our Annual Convention on the San Antonio Riverwalk. Step right outside our hotel to enjoy the Riverwalk! TempNet website sponsored by Advance Partners.